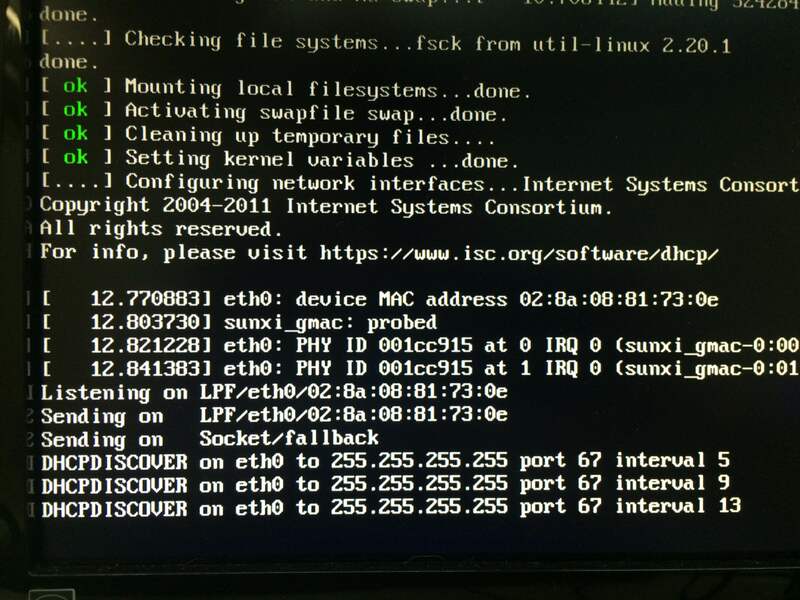 My Bananian Linux is wasting time at logon trying to get a DHCP lease for eth0 interface which is not connected. Well, the extender cable is connected to it, but nothing is on the other end. set in my /etc/network/interfaces since I do want it to pick up ethernet in case it is connected, but I surely don't want to slow down the startup of the system if the cable is not connected to ethernet. I assumed system would know this automatically and would not attempt to get a DHCP lease for the interface. After if understands that the lease isn't coming, it proceeds with the boot. Is there a way I could tell it not to DHCP if there isn't a connected cable? in /etc/network/interfaces, then the connection will only be initiated by udev when something triggers it, instead of at every boot. You might need to use /etc/network/if-up.d/00check-network-cable from the ifupdown-extra package to skip the interface if no cable is connected. There are always more than one solution to the problem. This will tell you first, if there are any dependepcies. Once you have uninstalled the package, you will no longer have to wait during boot. ifplugd ifplugd interfaces with your distribution's native network configuration utilities. Uses your distribution's native ifup/ifdown programs. May beep when the cable is unplugged, plugged, the interface configuration succeeded or failed. Supports the Linux SIOCETHTOOL (newer, aka ethtool API), SIOCGMIIREG (older, aka mii-diag/mii-tool API) and SIOCDEVPRIVATE (oldest, aka mii-tool API) ioctl()s for getting link status. Release 0.24 introduces support for link detection with the IFF_RUNNING interface flag. Small program - the binary is just 25 KB (plus 16 KB for libdaemon). Support for wireless networking. Whenever an association to an AP is detected the network is configured. Have a look on waproamd if you need a facility to configure WEP keys before AP associations succeed. Package Debian Package Search Page: ifplugd. An apt-get update && apt-get-install ifplud should do the trick. On a side note, the creator of systemd maintains this package. Not the answer you're looking for? Browse other questions tagged networking debian dhcp boot or ask your own question. Simple method to reliably connect 2 machines via ethernet cable?